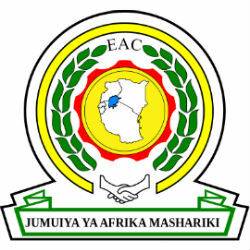 In an effort to increase promotion of the East African Community (EAC) as a tourism destination, Tanzania is reportedly prepared to join a single visa scheme that is currently operational in three of the EAC member states including Kenya, Uganda, and Rwanda. According to Tanzania Tourism and Natural Resources Minister Lazaro Nyalandu, who spoke in an interview with Anadolu Agency, Tanzania is currently communicating with the participating EAC member states regarding the methods employed to operate the single visa scheme. “As a country, we are now doing our homework to look at some issues like security, once one tourism destination comes to operation,” he said in his interview. The effort to expand the single visa scheme was promoted at the World Travel Market that took place in London on November 3rd-6th 2014 where Hon. Nyalandu was in attendance, which he indicated to be evidence of the government’s commitment to the new visa proposal. To date, the three member states already participating in the visa scheme have agreed to charge a USD 100 fee to tourists for a joint visa instead of a USD 150 single-entry visa for each country.